Our scans can help you quickly identify problems with your equipment or building. These scans can be used to make maintenance plans, keeping your building and machinery in it’s best shape. We are available for Industrial Electrical Inspections throughout Indiana and the Midwest. 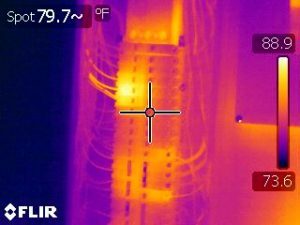 Check our infrared electrical inspection service area here. Call Us Today to see how Infrared Technologies can help your maintenance plan and save you money.